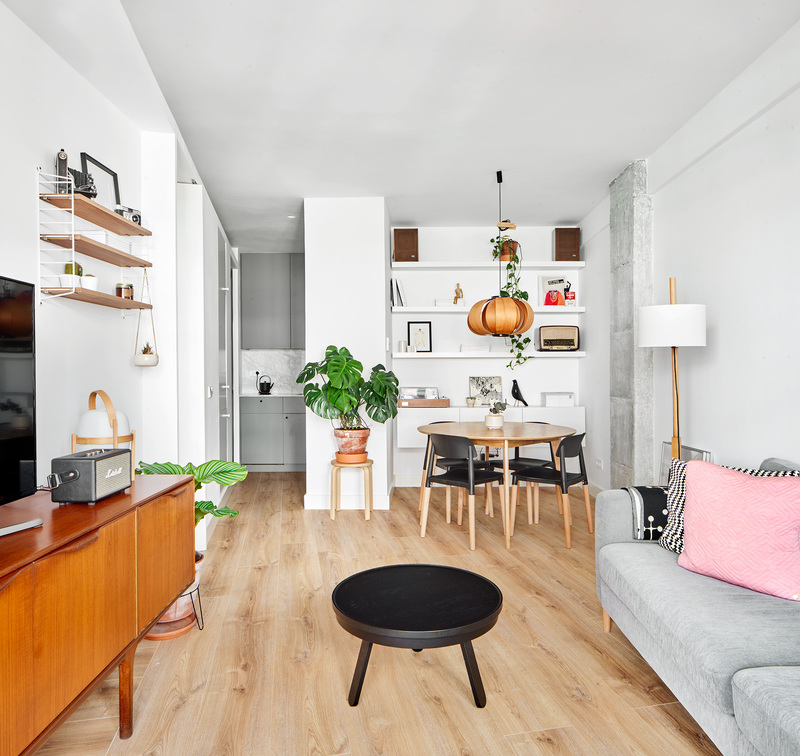 In one of the most prestigious residential areas of Barcelona, a client asked us to renovate their small 40m2 apartment in the Putxet neighborhood. 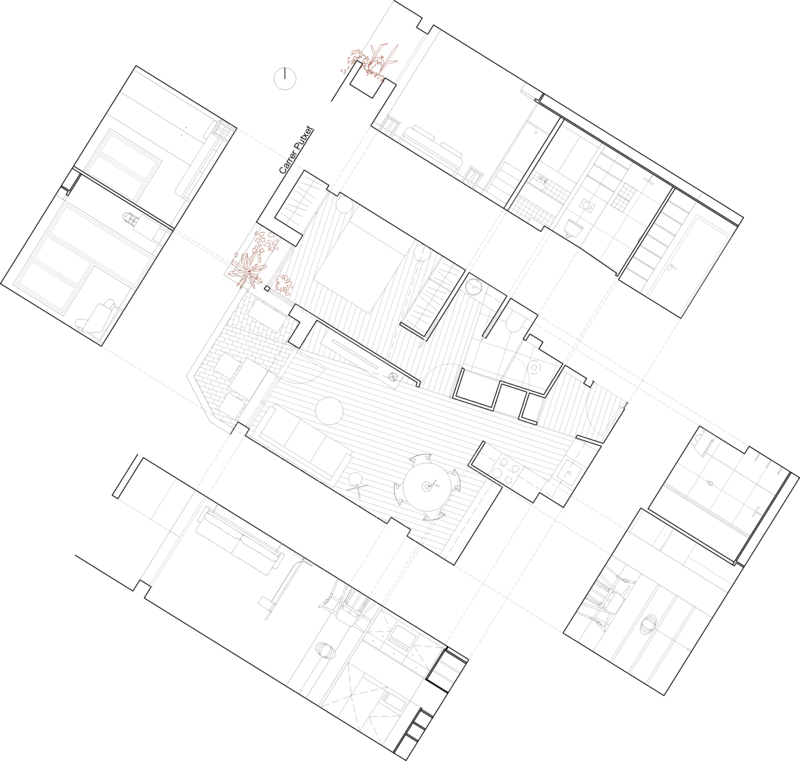 It is located on the fourth floor of a modern building, build with a pillar and beam structure. 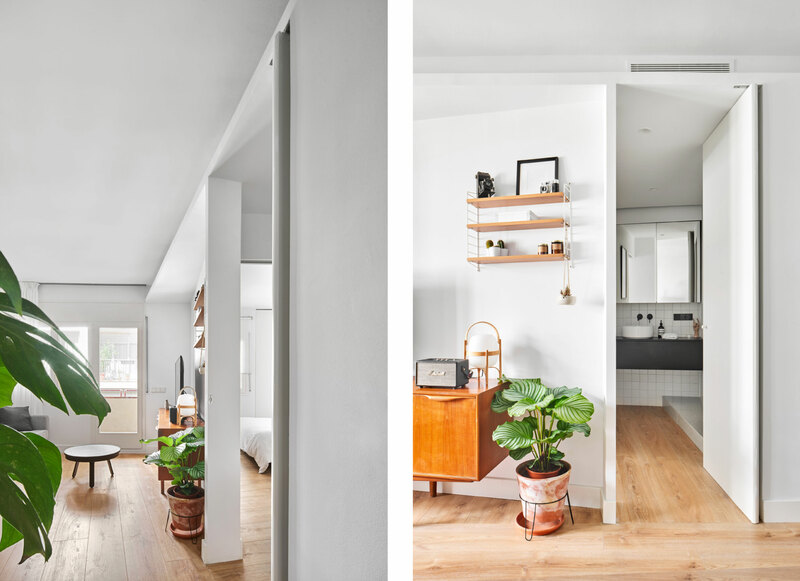 The apartment is mostly interior with the absence of interior courtyards, only enjoying a facade with two large windows and a balcony that breathes life into the whole apartment. 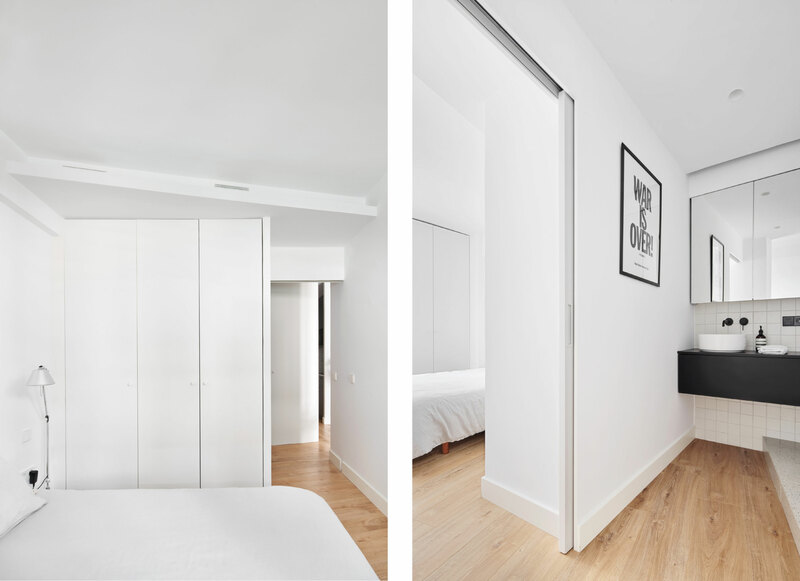 In order to obtain the maximum spatial quality and natural light, we opted for the distribution of spaces through a transverse axis that integrates the entrance, wet areas, and storage, leaving the maximum space on the exterior where the living room and the bedroom are located. 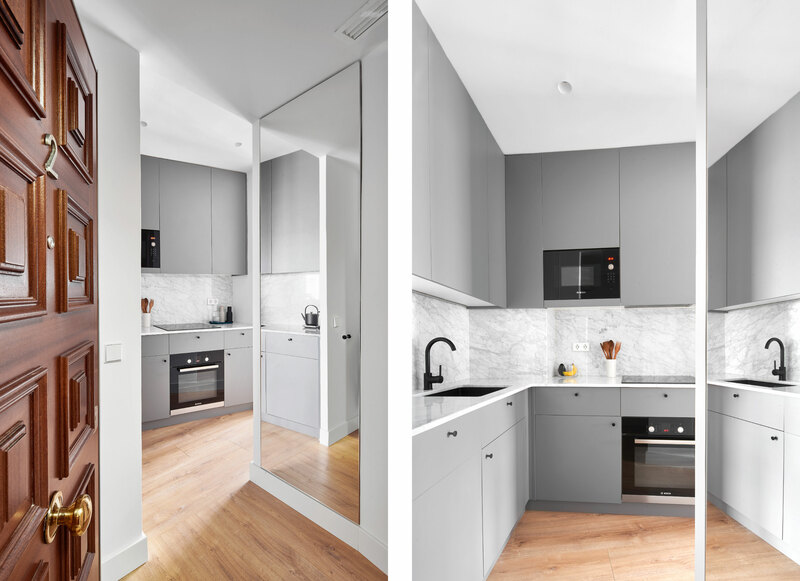 In addition, this axis enhances the perspective and visuals between the different atmospheres and gives them continuity; while the different uses are made more flexible thanks to the three sliding and pivoting doors, this opens the option to share the space with up to 4 people. 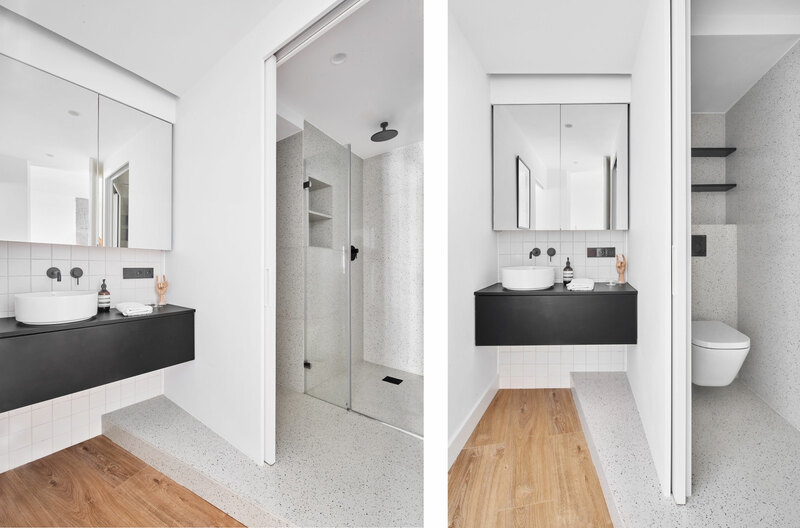 To provide greater luminosity and spaciousness to the interior spaces, mirrors are used to hide the storage areas and laundry. 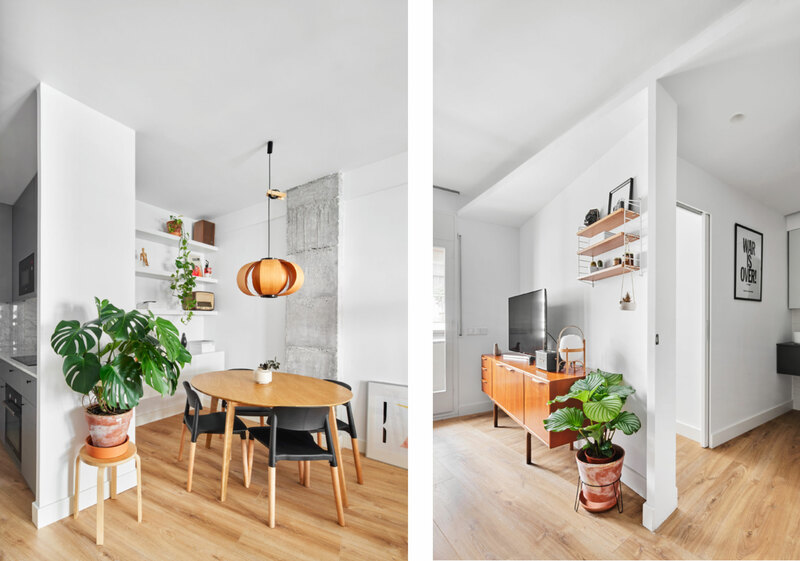 The different heights, both on the ceilings and on the floors, have different finishes, generating specific atmospheres, and connecting all the various features of this apartment.